and that of your friends and colleagues ... do tell any one you think may be interested. 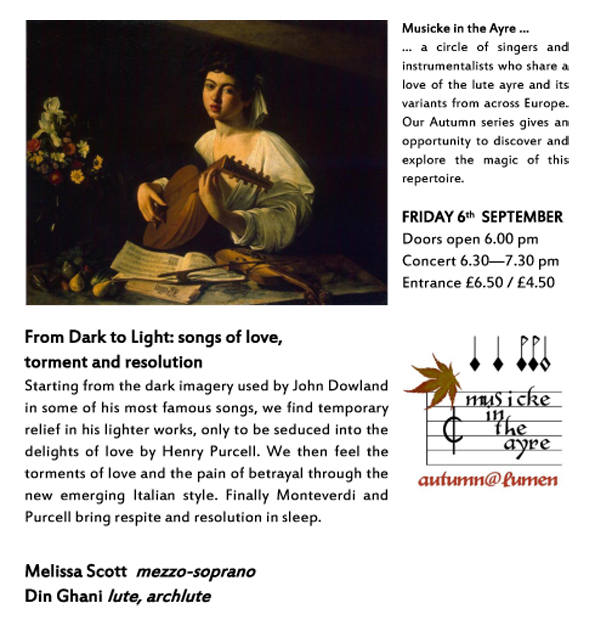 On the 26th of September 2018 the Quartet Pro Musica will perform two premières - Dominic McGonigal's first string quartet In Conversation and the second, Mathilde. 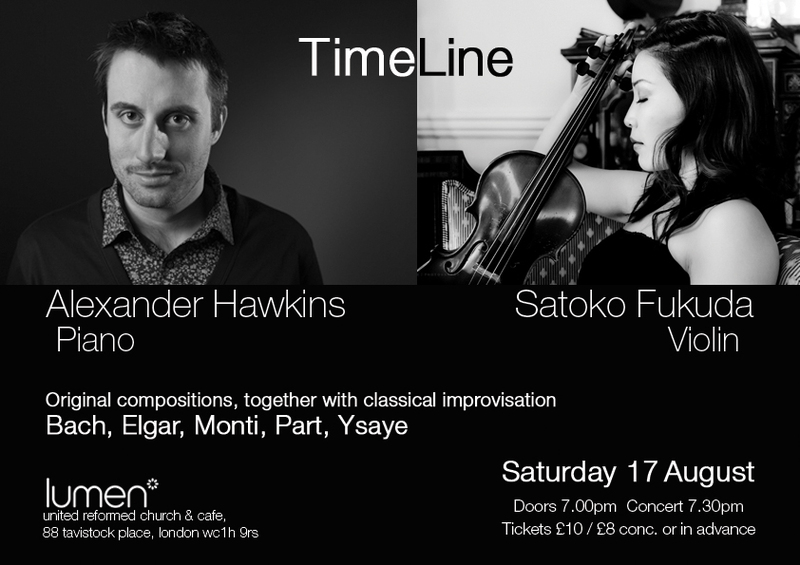 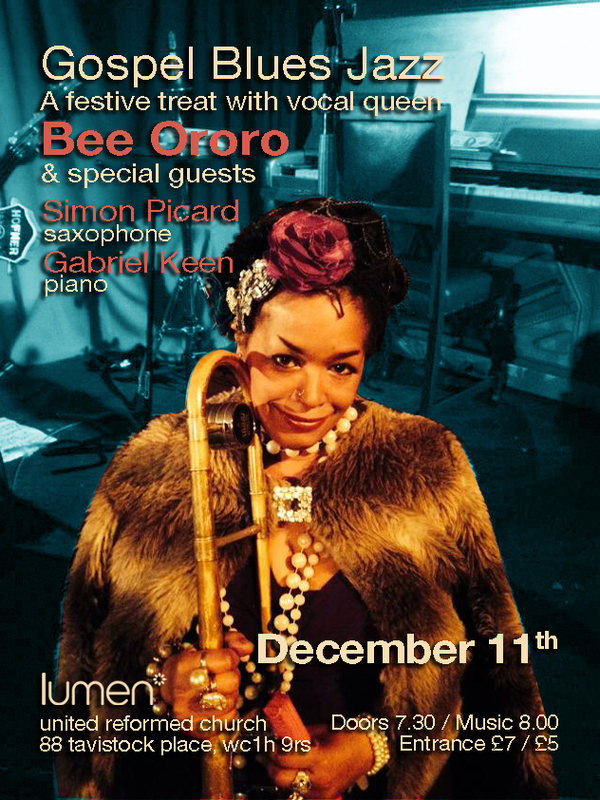 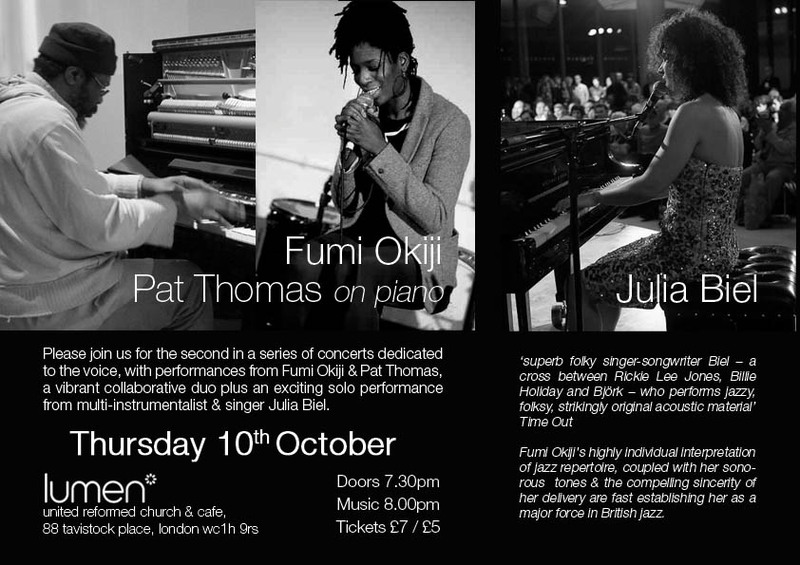 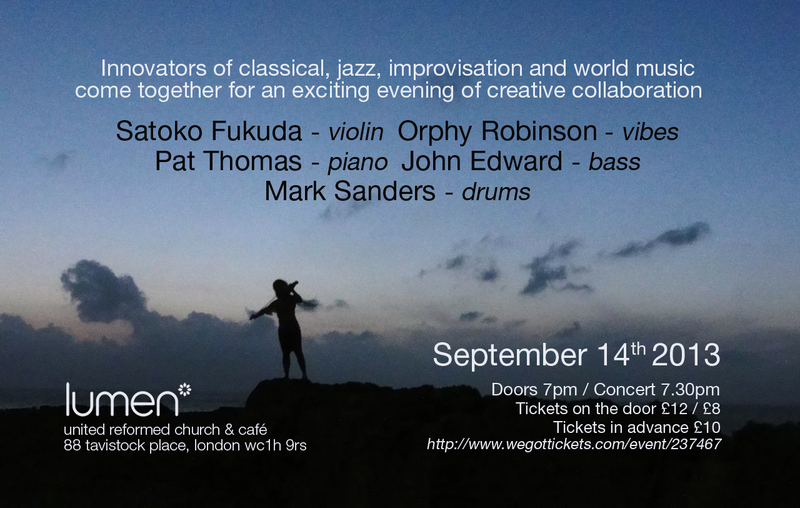 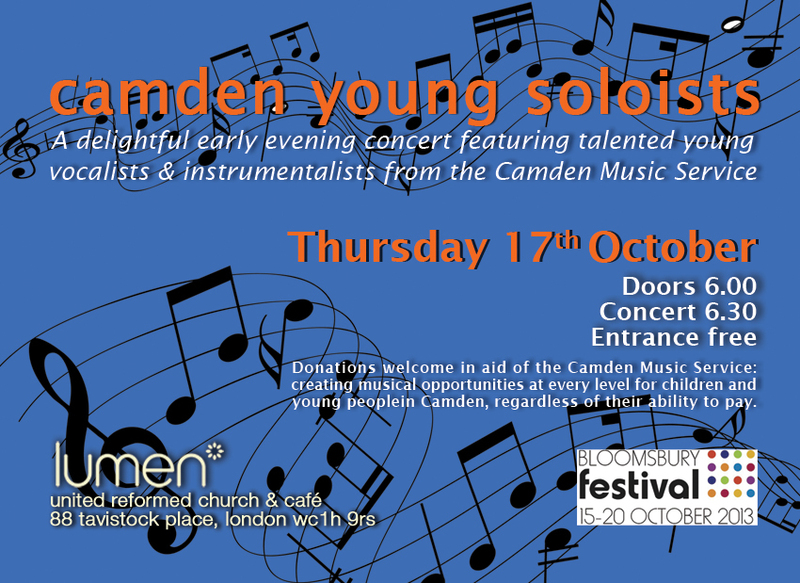 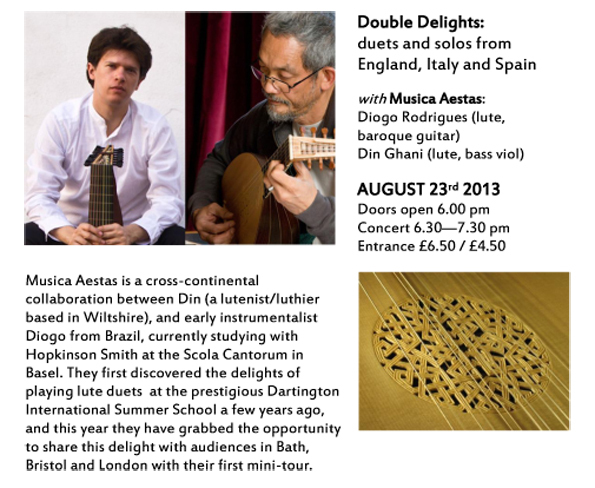 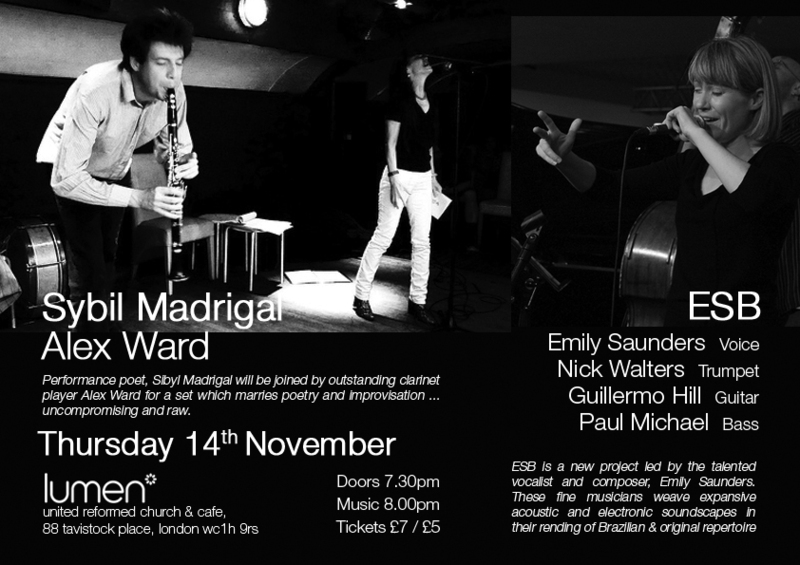 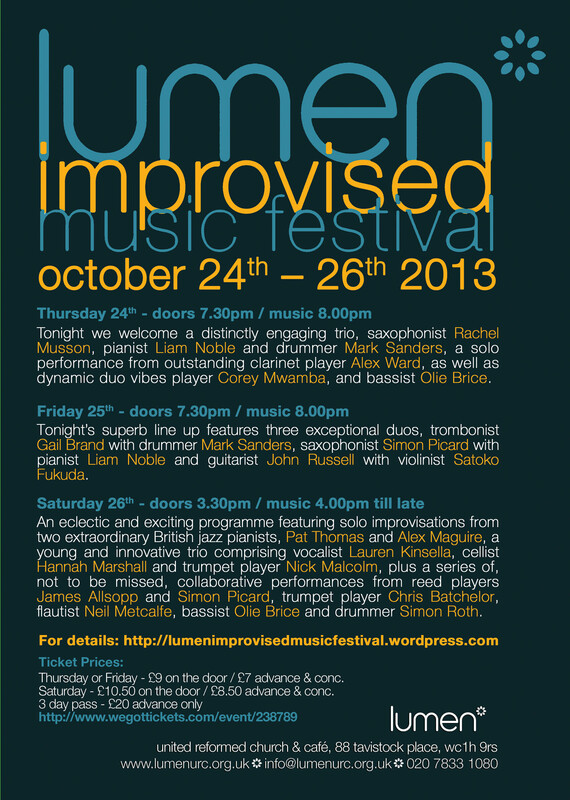 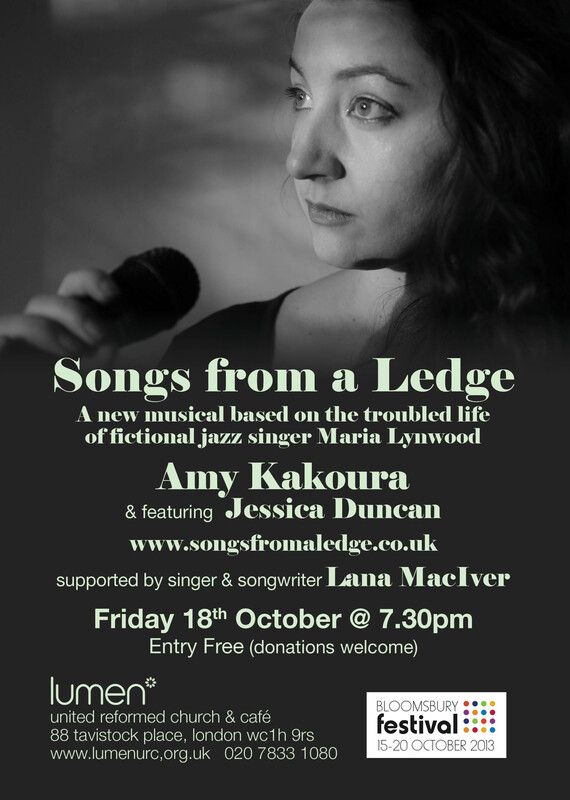 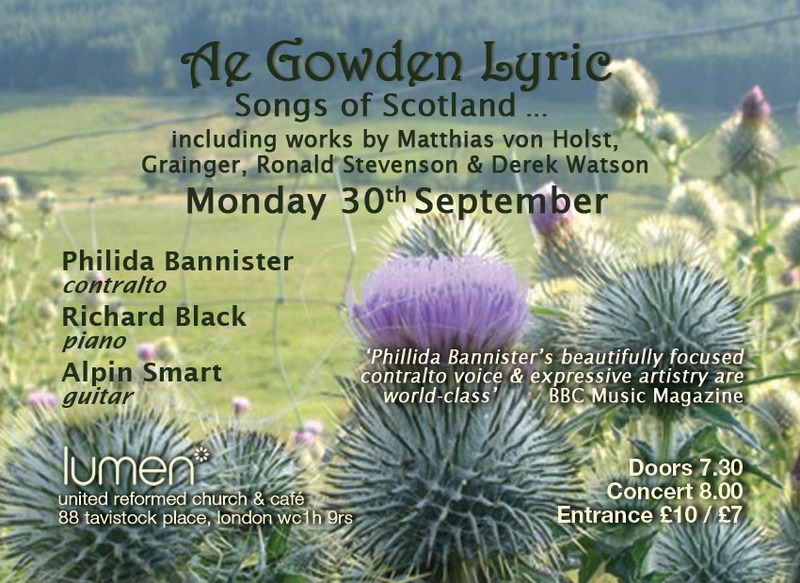 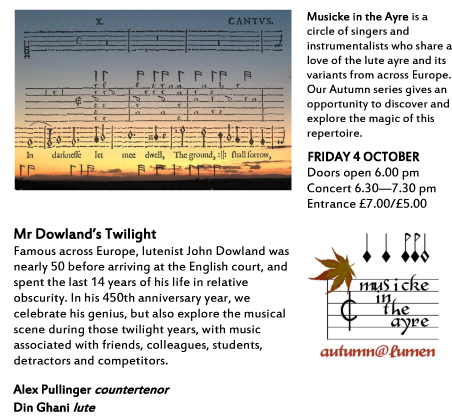 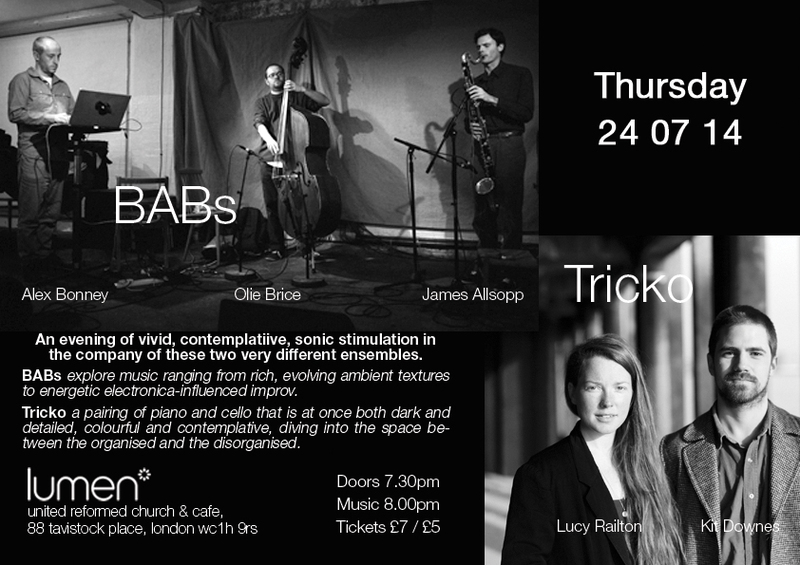 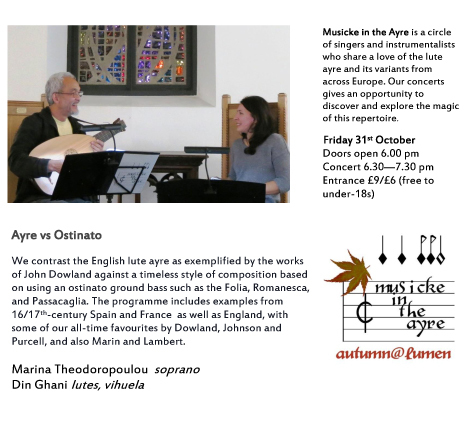 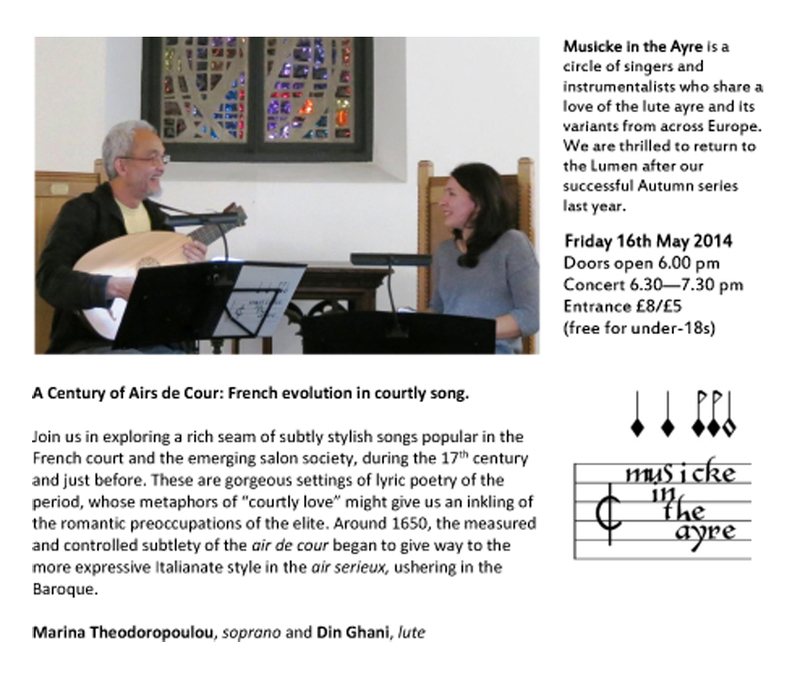 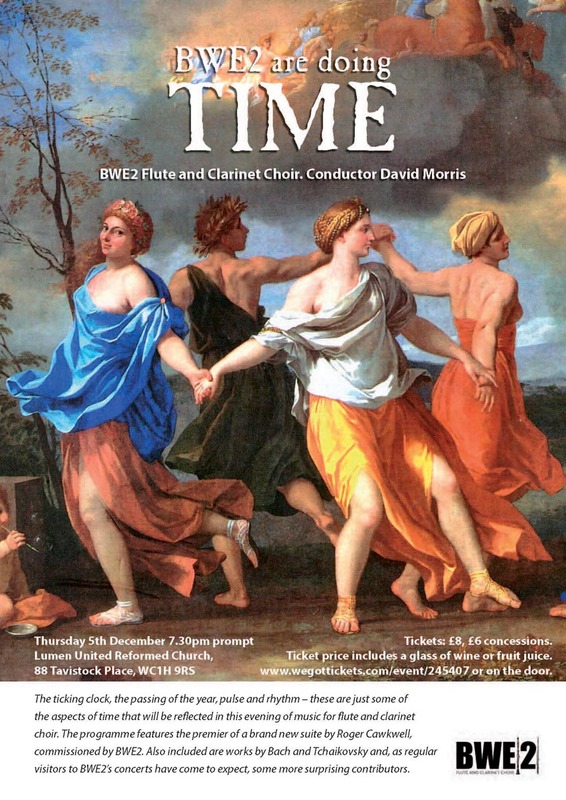 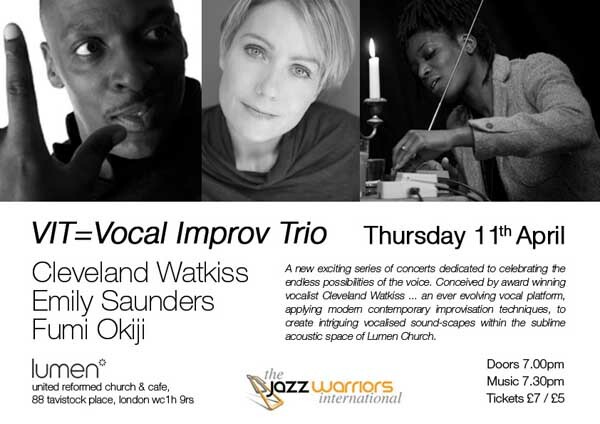 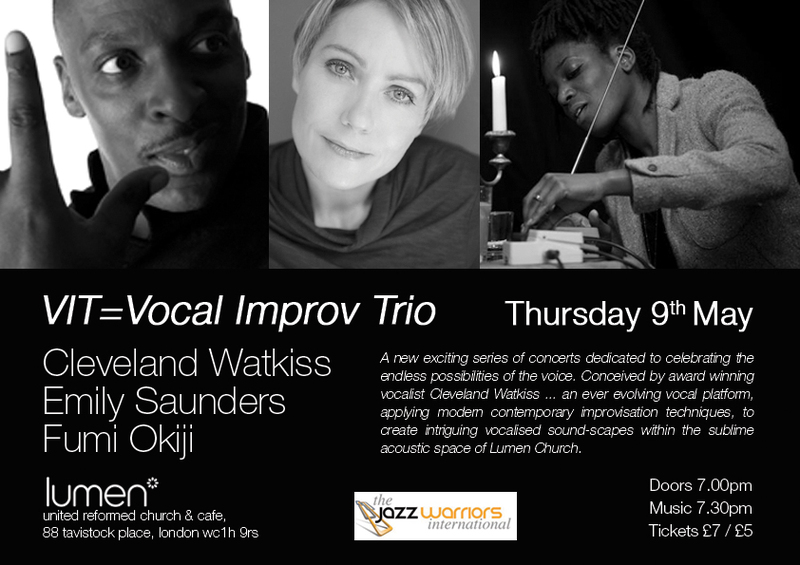 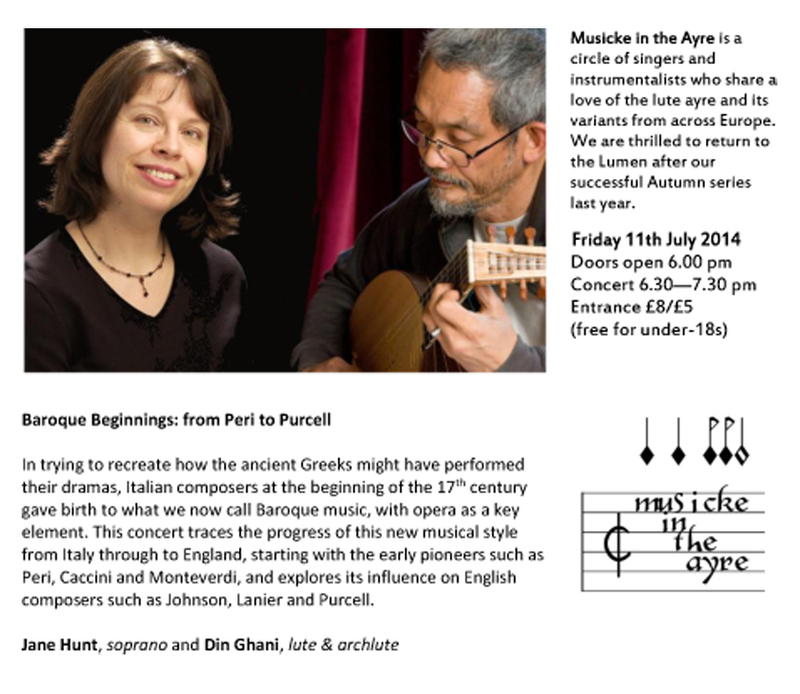 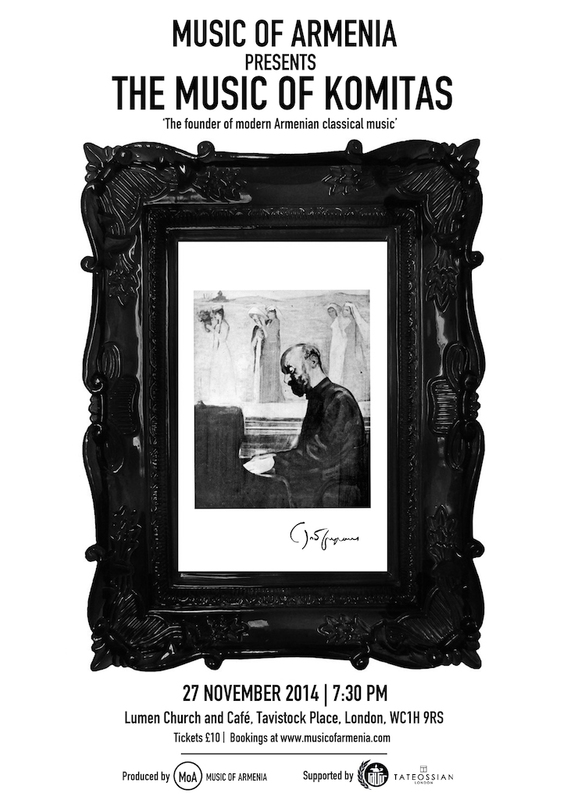 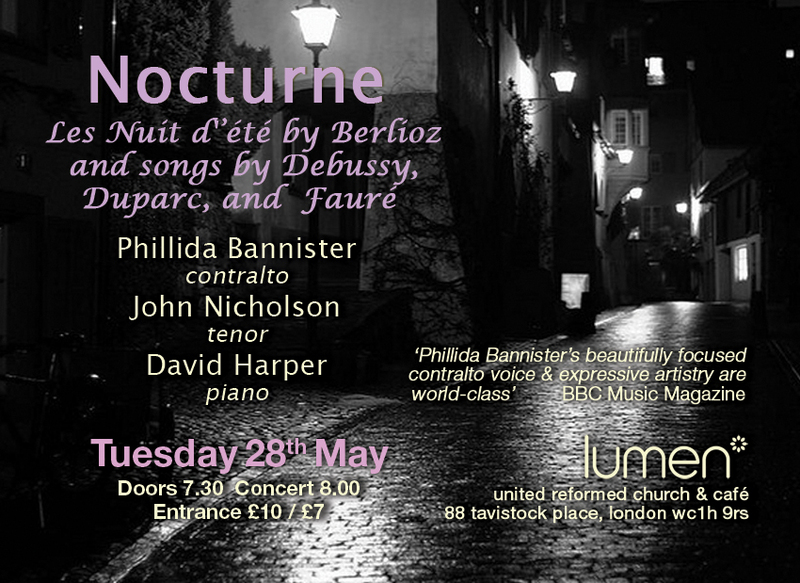 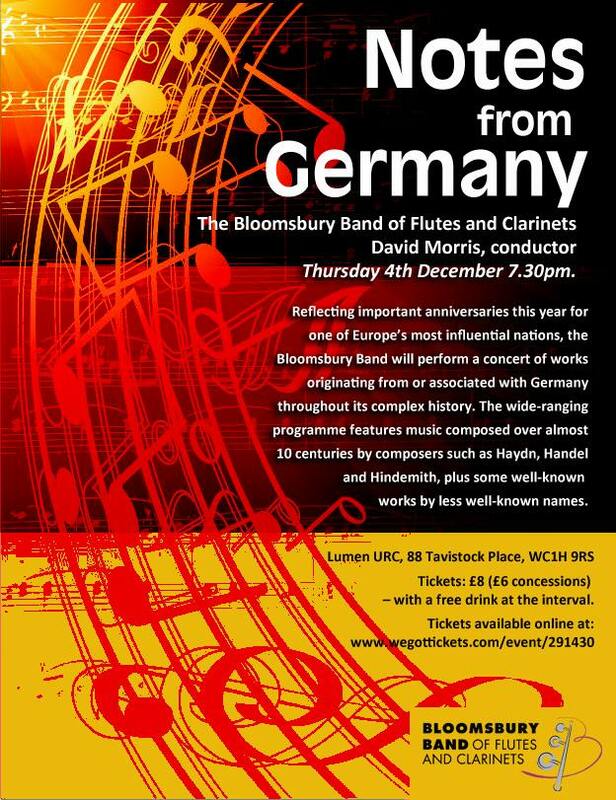 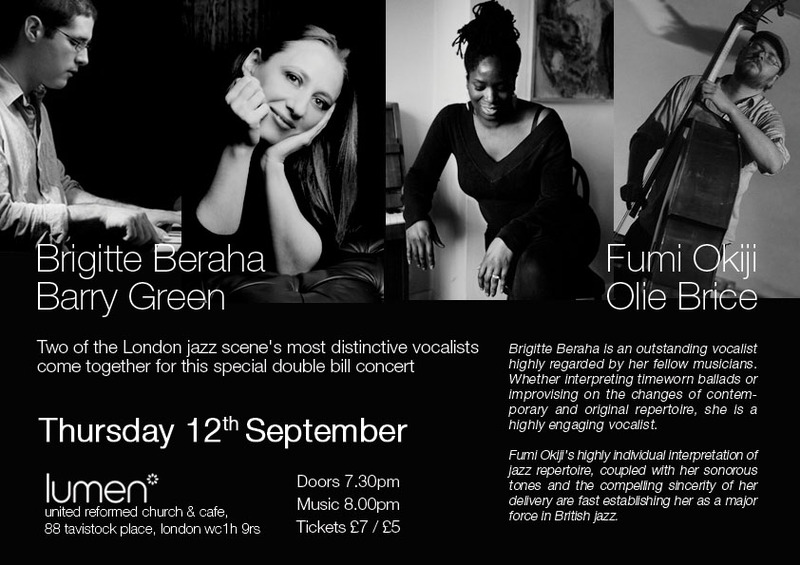 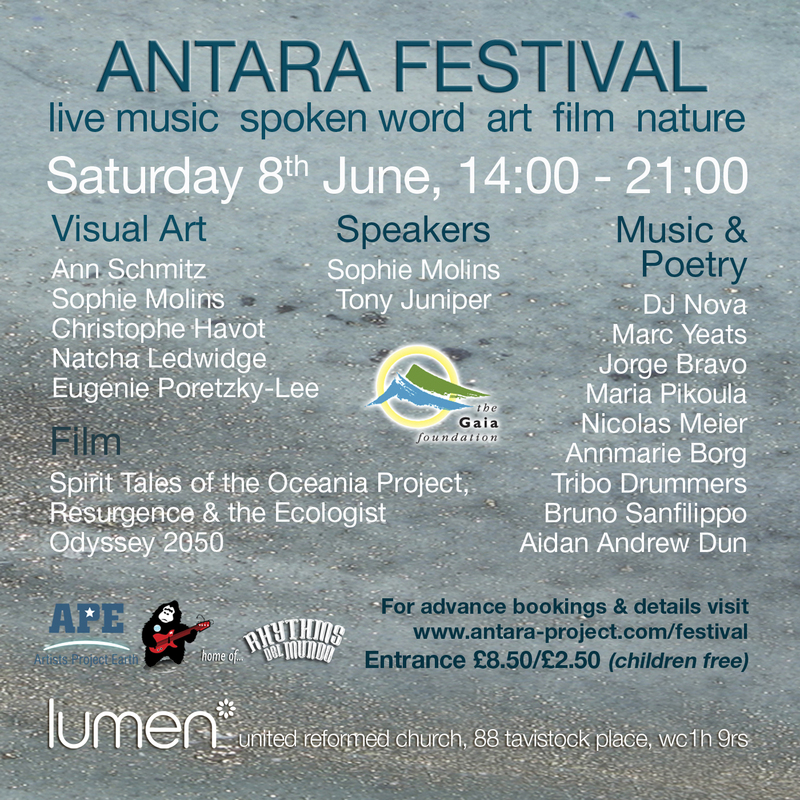 The concert will be at Lumen (Tavistock Place, London, WC1H 9RS) - 7.30 pm start. 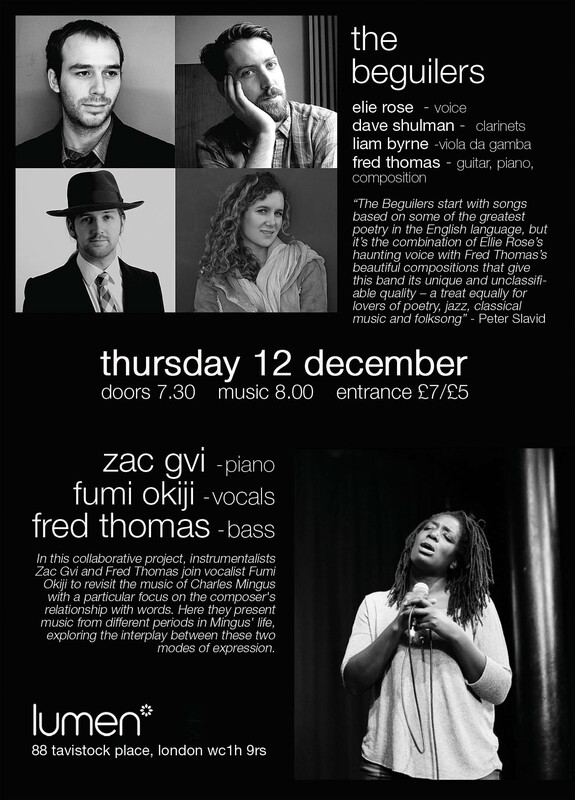 Dominic McGonigal's work has been described as "confident writing for instruments and voices, great textures and a perfect sense of spacing and pacing." 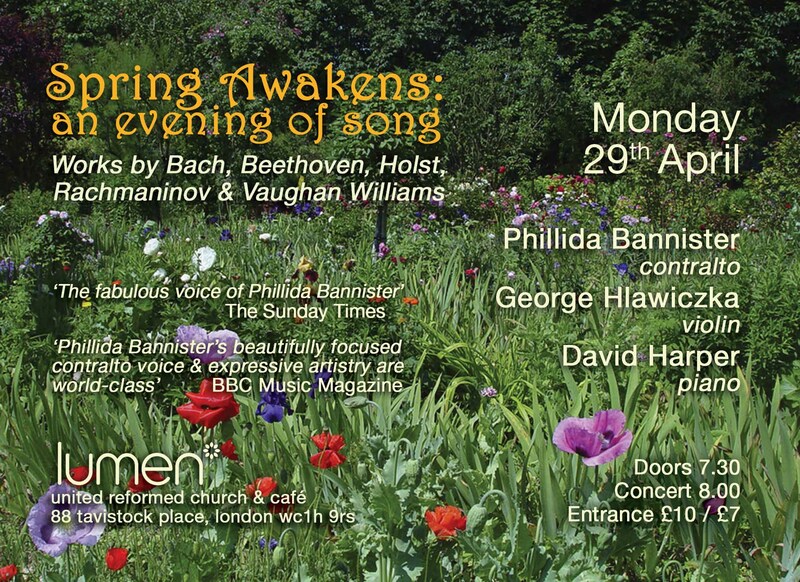 His commissioned compositions have been premiered at impressive settings such as St. Paul's Covent Garden and Southwark Cathedral and selected by prestigious choirs such as the BBC Singers with Judith Weir. 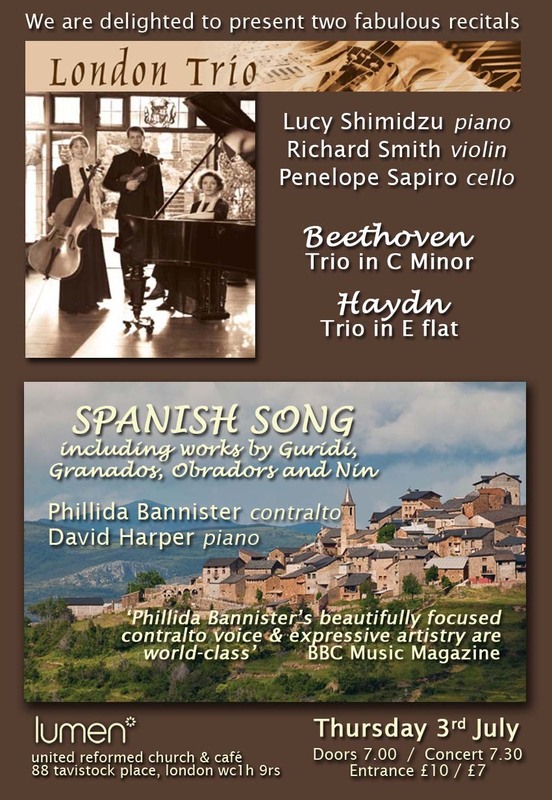 The Quartet Pro Musica was formed in 1955 by its original and current leader, Patrick Halling. 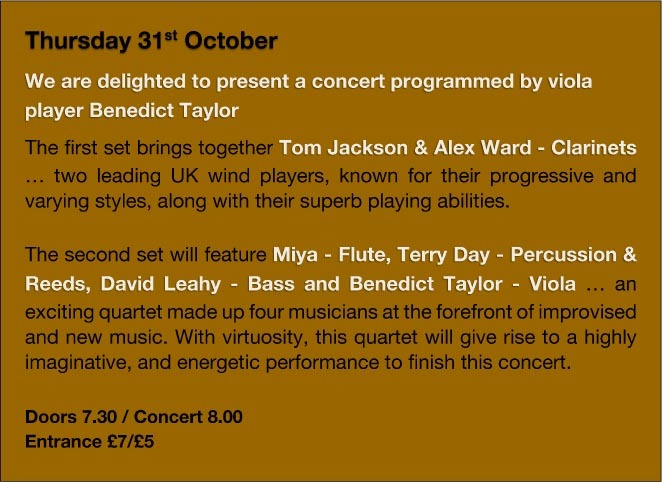 Over the years the quartet has been involved in acclaimed recordings for the BBC, and has played in many of the leading venues in the country. 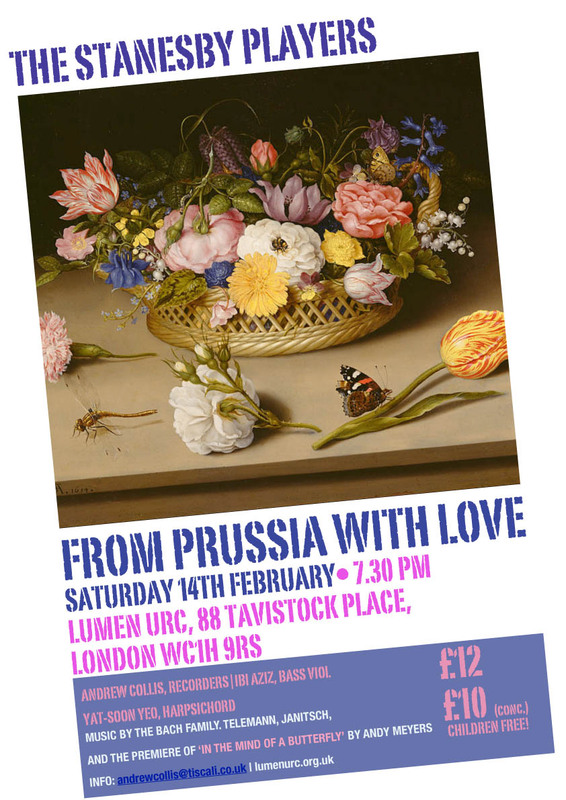 The current members, Patrick Halling (violin), Keith Lewis (violin), Sarah Pope (viola) and Myrtle Bruce-Mitford (cello), continue this tradition of excellence in chamber music, as they perform and record a wide repertoire from the classical, romantic and modern eras. 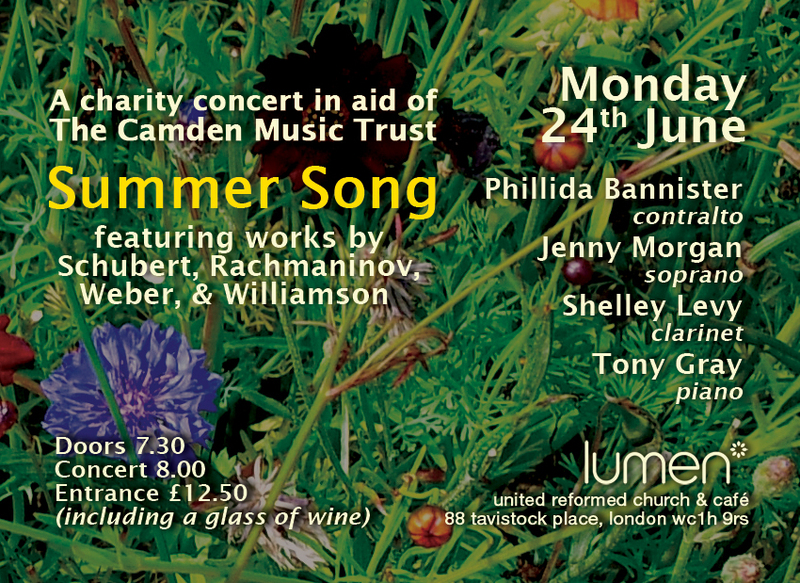 Charlotte Broker, as well as performing in Mathilde, will sing Schubert Gretchen am Spinnrade, Heidenröslein, Auf dem Wasser zu singen, and Schumann Die Lotosblume, Widmung. 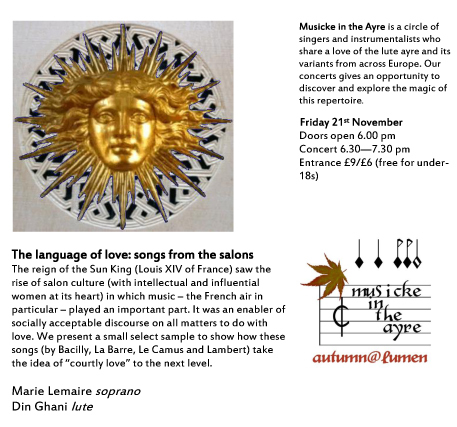 Charlotte is a Franco-German soprano, working as a soloist in London. 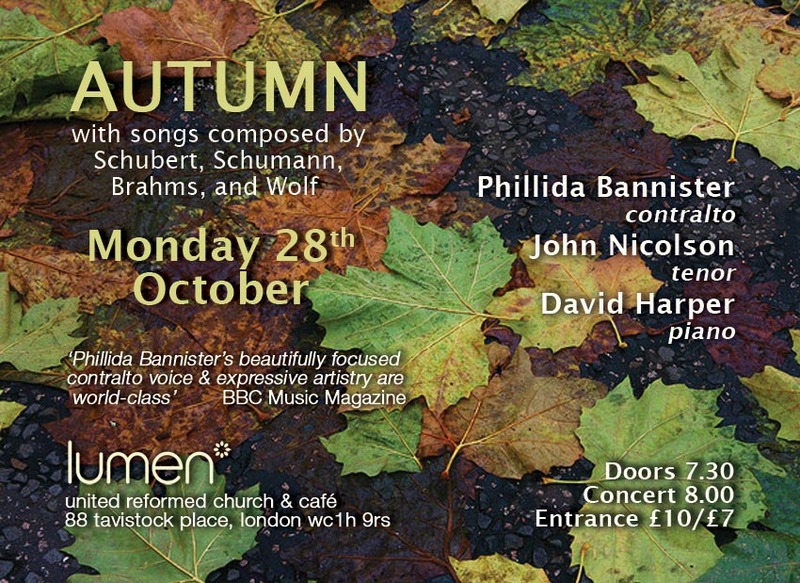 Her repertoire is wide-ranging from early music with recent concerts including Bach cantata BWV 51 Jauchzet Gott in allen Landen, to newly commissioned works. 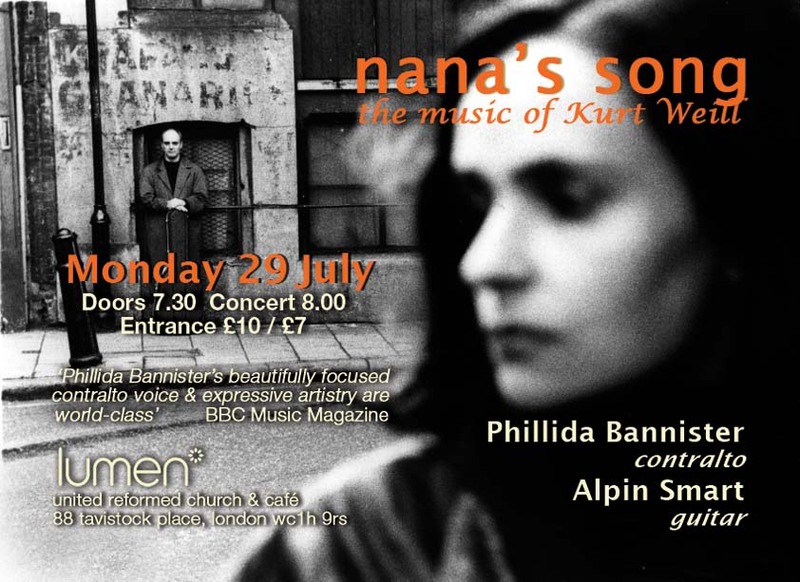 She was a choral scholar and solo recitalist at Emmanuel College, Cambridge while reading for a History of Art degree at Clare College, Cambridge. 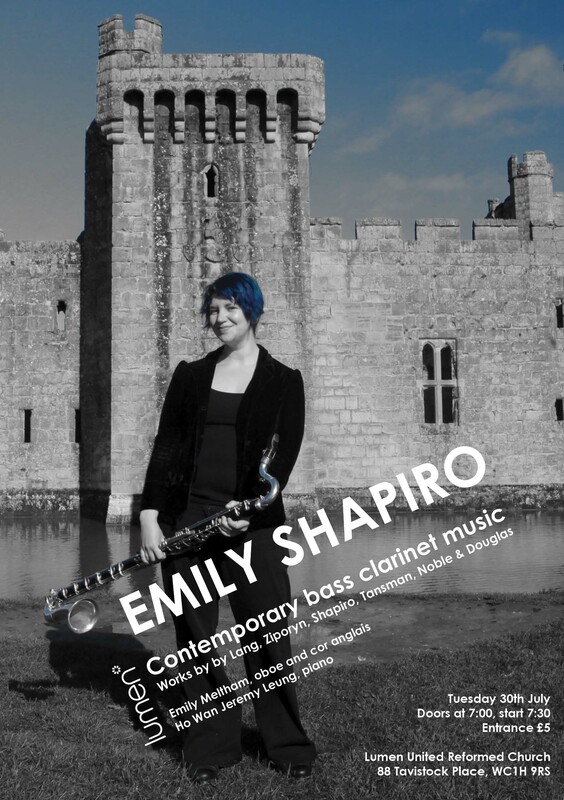 Charlotte is currently studying for her MA on a scholarship at Trinity Laban conservatoire, under teacher Patricia Rozario. 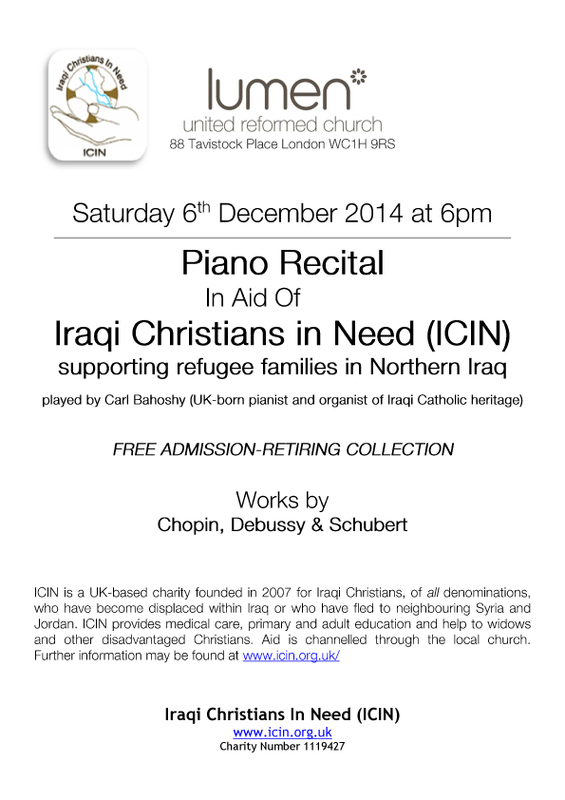 Carl’s parents are Iraqi Christians now living in Britain where Carl grew up. 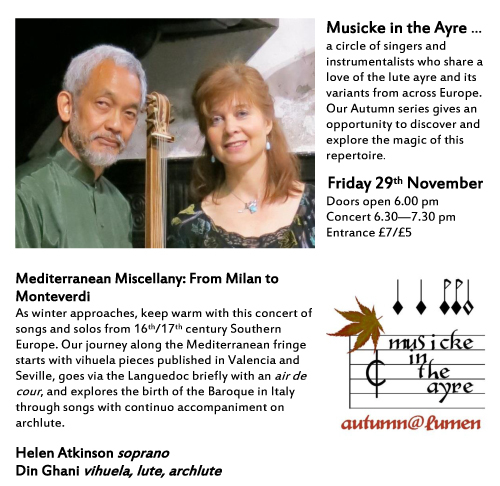 He has been giving recitals in London Churches for over a year raising money for the charity which supports those people who are now refugees. 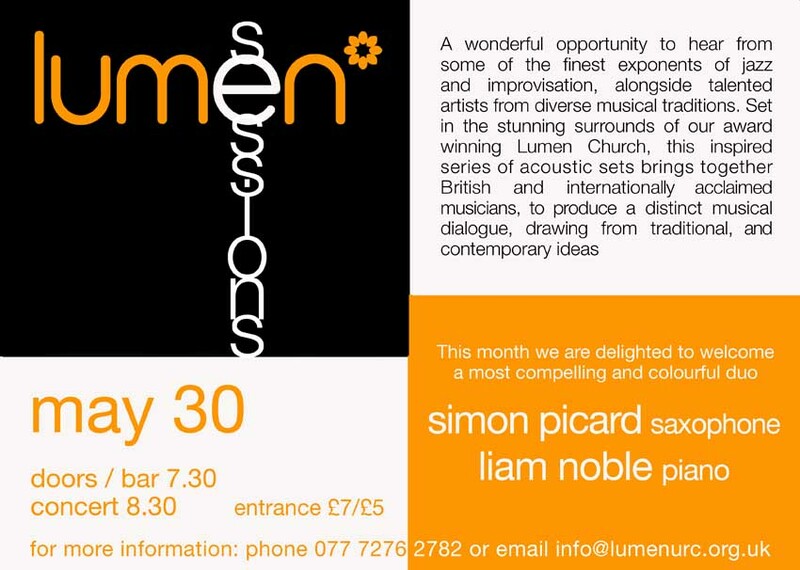 This is the second recital he has given at Lumen and it would be good if we could get a reasonable-sized audience for this event. 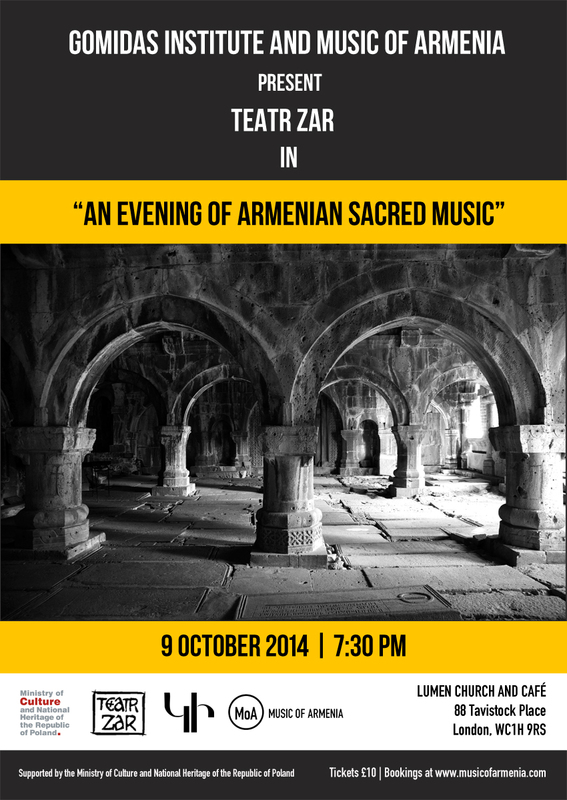 So please come if you can - the recital lasts for just an hour - and let others know about this event.